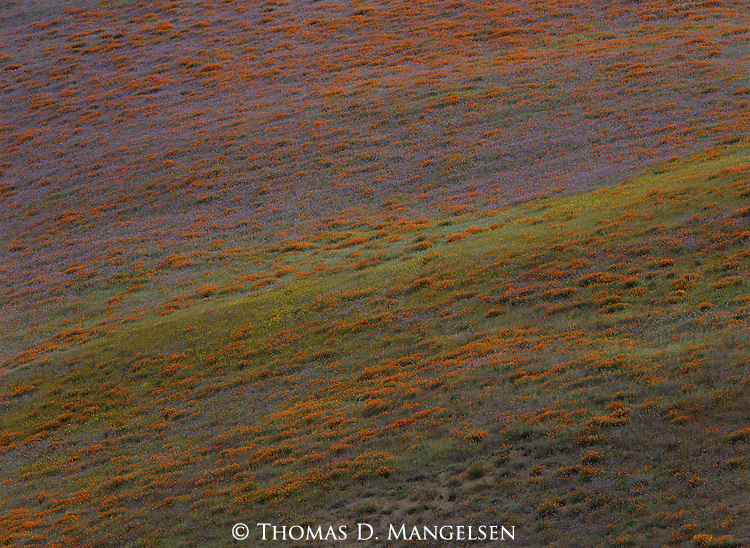 Blossoms of the California poppy mix with lupine on a rolling hillside near the coast. The poppy blossoms close up at night and open during the daylight, and are pollinated chiefly by beetles crawling over the blossoms. Lupine is a member of the pea family, and can be fatal to livestock when its seeds and fruit are ripening.